This week ? 2 to 7 September ? is National Book Week and we’ve compiled a list featuring a range of books to get children reading. This week ? 2 to 7 September ? is National Book Week and we asked our Teachers for Change educators for advice on books that would get children reading. 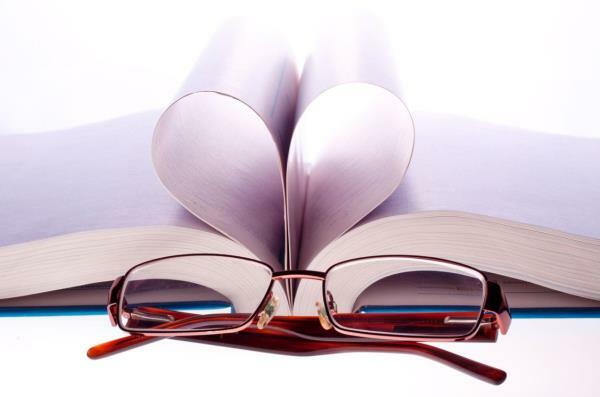 We’ve compiled a list featuring a range of books, from classics to the latest bestsellers, in English and Afrikaans. 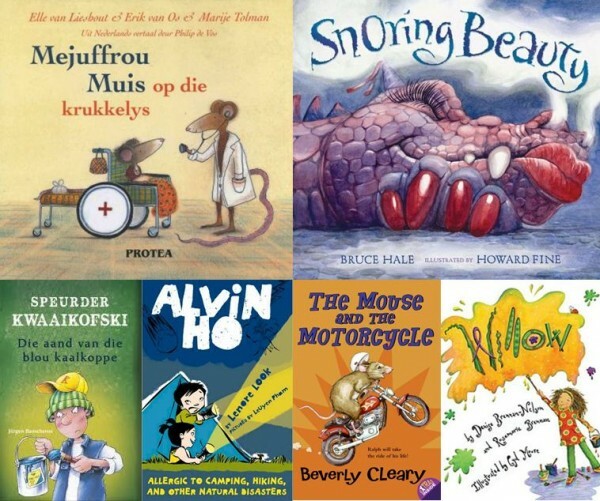 These four Dutch books have been translated into Afrikaans and feature humour and cute drawings that will capture children’s imaginations. Read a full review here. The quiet hotel where Ralph the mouse lives is anything but exciting. But everything changes when inquisitive Keith holidays at the hotel with his parents. Alvin and his father go camping because his dad wants to teach him to love nature and Alvin learns to be brave despite his fears. Miss Hawthorn has her hands full with creative Willow – a learner whose creativity and kind-heartedness changes her teacher and the class. A funny fairytale with a twist. Princess Marge becomes a snorting dragon and has to stay like that until an unusual hero comes to her rescue. Detective Kwaaikofski, a schoolboy who’s always chewing Carpenter chewing gum, wears a cap and solves simple mysteries, such as who’s stealing the tuck shop’s chewing gum. This series of creepy stories is the Afrikaans alternative to RL Stine’s Goosebumps series so popular with teenagers. Read a review of Donkerwoud, one of the books in the series, here. The TV programme Die Swart Kat of the ’80s captured the imaginations of boys (and girls). Now the books are being republished to encourage a new generation of boys and girls to put on their black capes and masks and fight for justice. Read a review here. If your children enjoy reading books Mom and Dad have read, introduce them to the Uile-, Saartjie, Maasdorp- and Keurboslaan series. These classic children’s books have been republished in new formats in the past few years. Readers of all ages will become immersed in the story of 10-year-old Winnie Foster. She must choose between living a normal life, and living forever after discovering a fountain that stops you ageing any further the moment you drink its water. Anna Atoom lives on the island MonPetit and her pets are sea snails and a robot dog. Her mom is a scientist at the best weather station in the world and her dad lives on a space station full of animals. Read a full review here. A 12-year-old girl in New York tries to make sense of a series of strange notes she receives from an unknown sender. A Grade 5 girl does a little detective work in and around her school and must, among other things, find out who’s stealing the props for the school play. Gedaantes en Geraamtes series – Louise Prinsloo These omnibuses contain toe-curling ghost stories. A series about a group of teenagers who try to solve the mysteries at a military base. Read a review of Vuurdoop, the second book in the series, here. Natasja is perfect. Jak realises this the moment she walks into the classroom. But he’s just an ordinary guy. How can he get the attention of the prettiest girl at school? His best friend, Julia, has a plan. Classical Greek myths such as Pandora and Orpheus are retold in an easy-to-read way. Outstanding illustrations round off the stories. Jane and her family go camping after her stepfather loses his job. Then they end up in the American desert after receiving a bag of money that might be stolen. When the world fall off its axis storytellers from all over the world must gather and share folk tales to restore the balance. The Romeo-and-Juliet murderer only harasses teenagers. All the victims are found the same way: corpses lying next to each other, fingers intertwined. Read a full review here. This psychological thriller is brilliantly written. The tension builds up from the first chapter and the story carries you away. Read a full review here. A truly South African story about John Milton, or Spud, who’s trying to find his feet at an exclusive school in KwaZulu-Natal. His loony parents, adventurous friends and an attractive girl ensure he has many adventures. Katniss Everdeen has to battle for survival in a futuristic world. The first film version of this popular series was released last year. This is the sort of book that’s difficult to put down. The book is set in the fictitious town of Molching during Nazi rule in Germany. The chief narrator is Death, and he provides an unusual perspective of the story of Liesel Meminger and her love of books.